Charlotte Petri Gornitzka, former head of the Swedish aid agency and now chair of the Development Assistance Committee (DAC) of the Organization for Economic Cooperation and Development, was in Washington this week unveiling the DAC peer review of U.S. assistance. The DAC, the club of major bilateral donor countries, undertakes an exhaustive review of each member’s development program once every five years. 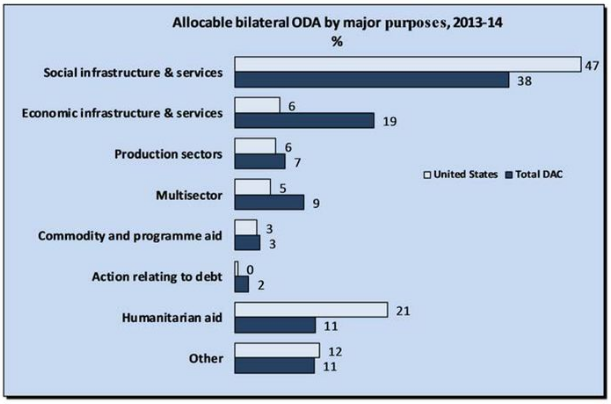 This new review of U.S. assistance is generally commendatory, identifies advancements since the last review in 2011, and points to areas for further improvement. The report tees off with a nod to U.S. global leadership, specifically its enhancement through key initiatives (health, food security climate, energy, illicit financial flows), the elevation of development as a pillar of U.S. foreign policy, a strengthened U.S. Agency for International Development (USAID), and the establishment of development policy guidelines and initiatives across the government. Further, it highlights the constructive role of the President Obama’s reinforcement of development as a core pillar of American power through the Presidential Policy Directive on Global Development (PPD-6), and the comprehensive assessment of how the Department of State and the USAID can become more effective and accountable through the Quadrennial Diplomacy and Development Reviews (QDDR). The review commends the U.S. for a more strategic approach to development, as by setting government-wide priorities through PPD-6 and USAID’s return to writing strategies for its development activities in each of its partner county. Additional examples are the PPD-6 call for greater selectivity and focus, reflected in a 42 percent reduction in the number of country programs, and in the QDDR’s identification of areas of U.S. comparative advantage. But it also states, with more than 21 government agencies implementing foreign assistance, there is need for a government-wide, all-inclusive global development strategy as recommended by PPD-6. It observes that the U.S. has pursued a more strategic use of multilateral organization but lacks a common multilateral engagement strategy. Further, the unmet financial commitments to the multilateral development banks of $1.6 billion erodes U.S. leadership and influence in those institutions. 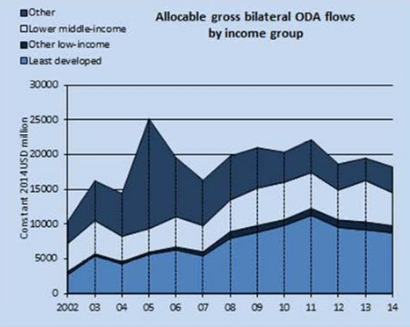 The report commends the U.S. for bringing greater coherence to its development policies but states that progress has not been made, in contrast to other DAC members, in greater coherence between development and domestic policies. The interagency dialogue that produced the U.S. position on the United Nation’s Sustainable Development Goals was a rare occasion of joining considerations of domestic, development, and foreign policies. The report recognizes U.S. outreach and support for civil society. It also notes its engagement in fragile states, with 44 percent of U.S. official development assistance going to countries that are fragile, conflict-affected, or post-crisis. As to the assessment that “USAID’s expanded capabilities are making a positive difference,” the report credits this to the restoration of the agency’s policy, budget, evaluation, and strategy functions; increased staffing numbers and expertise; a more strategic focus on results and innovation; and the agency’s increased presence at meetings of the National Security Council and designation as a leader on important development initiatives and disaster response. The report views the U.S. as successful in mobilizing the private sector. USAID has created tools to engage the private sector, including extensive use of public-private partnerships and a new Office of Private Capital and Microenterprise. Between 2012 and 2014 the U.S. mobilized $10 billion in private finance through guarantees. Since 2010 the portfolio of the Overseas Private Investment Corporation has grown 47 percent, but it is hamstrung from doing more by insufficient staff, lack of equity authority, and the requirement that a U.S. entity must be involved in a project. DAC chair Charlotte Petri Gornitzka presenting the U.S. aid review to the Modernizing Foreign Assistance Network. The report presents a brief tally of how the U.S. has responded to the recommendations of the 2011 DAC peer report. The U.S. acted fully or partially on 80 percent of the recommendations and took no action on four. 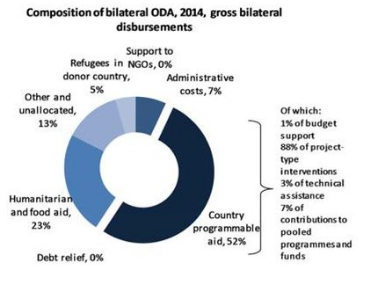 The DAC report adds a respected international voice to comparable assessments of the substantial progress that has been made in the management of U.S. assistance and where further steps are in order. With a new administration taking office in a month, the report could not be more timely. It is a useful guide to the strengths and shortcomings of U.S. assistance policies and programs and where improvements can be made.